During this election season, BigKidSmallCity is getting to know the candidates in the City of Houston election. Our goal in our non-partisan, non-political research is to help Houston kids better understand the political process. This is not for political purposes or endorsement. This is however, for kids. Aylen (7), Joe (6), Senia (5) and Brooke (4) created the questions and I edited for clarity. 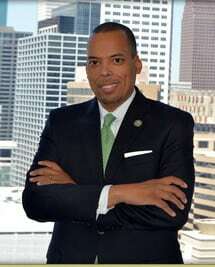 Below is the interview with Ronald Green, Incumbent Candidate for Houston Controller! 1. What does the controller do? The Controller is the City of Houston’s Chief Financial Officer. The job includes accurate and timely reporting and forecasting on the City’s financial condition; paying City vendors (provided they are not delinquent on City taxes); auditing City departments; managing the City’s investment and debt portfolios; and serving as Houstonians’ financial voice at City Hall. 2. What do you do to get elected? The Controller is elected by the voters of Houston every two years, and each Controller is limited to three 2-year terms. (I am running for my third and final term.) To get elected, I campaign across the city, talking to voters about what our office is doing and will do on their behalf to secure the City’s financial future. 3. What do you like to do in Houston? I like to attend cultural and sporting events, and explore parts of the city I’ve never seen. 4. What is your favorite thing about Houston? The people. Houstonians hail from all over the world, and there is a friendliness here that is unmatched. 5. What is your favorite Houston annual event? The Houston Livestock Show and Rodeo is a great Houston event. For kid-friendly reviews of the Houston City Elections, go HERE. If you are a candidate and have not filled out a questionnaire or set up a meeting, please contact me at Jill @ BigKidSmallCity.com.